My first step was a hat. Until I got to grad school (seminary) I wore an assortment of baseball caps like everyone else. While at school I noticed the occasional guy with an actual man's hat and decided that was for me. I bought and started wearing a fedora. In 2006 I started my first full-time regular job. The office was business casual and I went with that at first but didn't really like it. I soon switched to wearing dress shirts and pants. 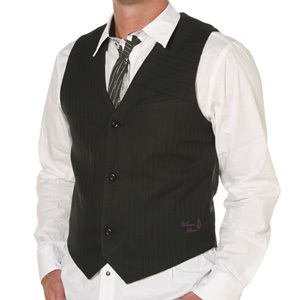 Then, I discovered something I really liked the look of: vests (waistcoats, historically speaking). I got my first one probably late 2007 and in a year or so started wearing it regularly. Then, I took the big leap in 2009. 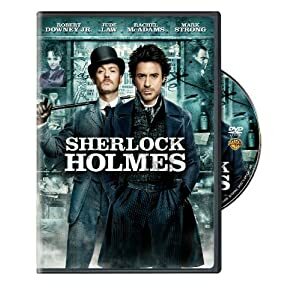 I saw the movie Sherlock Holmes and loved it. I had heard of this sub-genre of SF called Steampunk and even had read some (League of Extraordinary Gentlemen) without really investigating it. For some reason, I realized that the film had a steampunk vibe (even while not being a pure example) and it set me off to investigate more about the sub-culture. I was soon reading or watching most any steampunk I could get my hands on. Steampunk itself is often very critical of Victorian life and principles, but while researching the sub-culture I found that there was a brand of related literature (Gaslight Romance) much more accepting of it. And there was also a group of people who style themselves Neo-Victorian. Neo-Victorians can appropriate as much of Victorian culture as they want. Much of it (classicism, racism, sexism) is rightly rejected, while other aspects (manners, formality and modesty in dress) is perhaps more worthwhile, at least for me. I soon subscribed to this idea both as a style of dress and in dealing with people. It is my hope to be a gentleman in the Victorian vein in the best sense of the term. At my most intricate (formal occasions or steampunk events) I attempt to dress as if I could completely blend in on 1870s street. Much of the time, it's a bit more of an adaptation (plastic buttons, a hand tie). Unfortunately, since I lost my job I can no longer afford to keep up with the dry cleaning and since I don't go out as much you're just as likely to see me in a t-shirt (secretly dreading that I'm bearing my arms in public) as a waistcoat if I'm just popping into my LCS. You should try and find a job. I've been thinking about getting into steampunk, but not neo-victorianism (I used to wear suits when I was at school a while instead of the standard hoodies and t-shirts, but eventuly got fed up of being a luagthing stock behind my back, so I switched to normal clothes, and I found that I actuly preferd it, so i've stuck with it to this day. )I also lived in a victorian house when I was a kid, so that might have encouraged me to take an interest in steampunk. By the way, do you realy need to dryclean your suits, when I used to wear them, I only washed the trousers in a washing machine and tumble dryer. LOL. Just noticed this reply. Yeah, I could machine wash everything but the vests (waistcoats on your side of the pond)—they'd fall apart. I just hate ironing the shirts. Definitely need a job, but probably have to switch professions. Academic editing is few and far between nowadays. Medical problems have delayed my return to work (but also gotten me government money ). And oddly enough, I also grew up in the American equivalent of a Victorian house. I grew up in a town house converted from an early nineteenth century schoolhouse! Neat! Yeah, you should try to get a job my freind. Tell me, what do you want to do with your life eventully? What job do you want eventully? Yeah, when I was really young, I liked the whole Victorian thing, when I was in my 8-10s, I got fed up with it all, mainly because I was different ennougth from everyone else, but in my teens, I enjoyed living in a bigger house than everyone else. Also since the last post, I've gotten into steampunk! I brought a steampunk clock on my Birthday, and I've started reading a new steampunk title. Well, I liked editing, but as I said the industry has been hard hit. Even retail is too physical for me (too much standing and shelf-stocking) so it has to be office work or work from home. Actually, I need to stop dicking around with my day and write. I might be able to get published in lit mags. My writing professor thought I was the most polished/most ready in the class. Guess, I could try steampunk.